It’s a time to celebrate, reflect and remember. However you mark the holidays, we hope your days are filled with warmth and thankfulness, good times, and endless cheer. 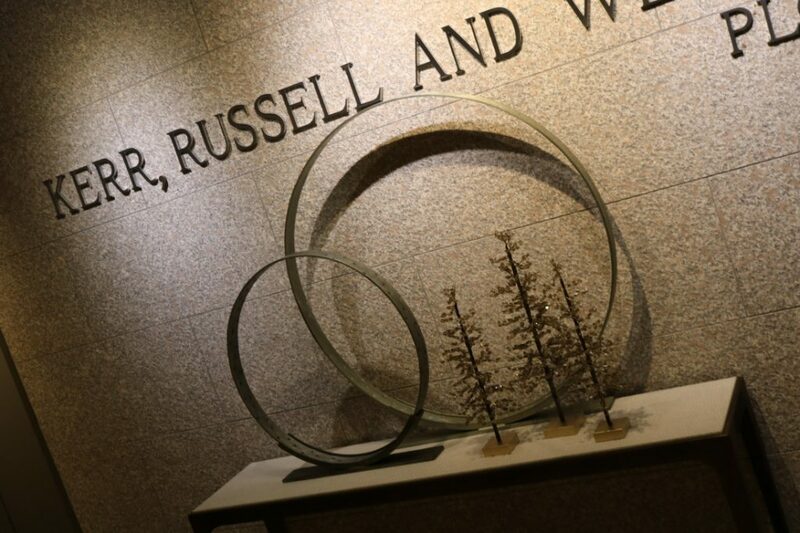 As another year draws to a close, we at Kerr Russell are grateful to you. You give purpose to our work and add meaning to our relationships. Your trust is a cherished gift. Enjoy these images as we get our offices ready to celebrate the holiday season. Design by Mandy Lark of Lark Interior Design. We are proud of Detroit. We are proud to have had a seat at the table here since 1874. Our exceptional attorneys understand the unique challenges facing business leaders. Our legal solutions are prompt, accurate, economical, and focused around your needs in every area, including business law, labor and employment, immigration, mergers and acquisitions, real estate and construction, healthcare, medical practices, tax, contract negotiation, restructuring, automotive, manufacturing, and commercial litigation. Whereas many lawyers merely interpret the law, our attorneys help to make it. We have been involved in some of the most significant legal developments in state business and health care law, and our trial lawyers have been involved in many notable commercial cases in Michigan and other jurisdictions. In business and legal circles, we are respected for our high standards, quality work, and professional ethics and integrity. For over 140 years, Detroit has been our home. Detroit will always be our home.